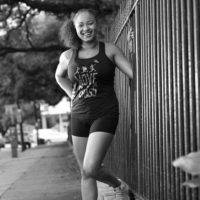 New Orleans native, Robin Barnes started Move Ya Brass and the Make Your Move Foundation after overcoming a life-altering health issue. It was the wake up call that she needed to recognize the importance of living a healthier lifestyle. Through her story, she hopes to inspire others through fun and motivational fitness wear. Robin is also the Songbird of New Orleans and a Billboard Jazz charting vocalist who can be seen performing at events and festivals around town. For more information on Robin and upcoming performances, you can visit her website. 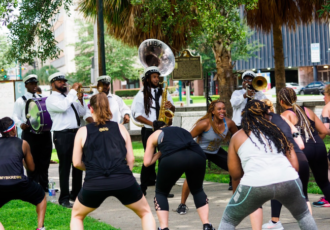 To learn more about Move Ya Brass and how you can get involved and participate in free workouts every week, visit the website.